When and where Axel Witsel was born? Axel Laurent Angel Lambert Witsel (born 12 January 1989) is a Belgian professional footballer who plays for German club Borussia Dortmund. During his play for the Belgium national team, he came into the first team as a right-winger, and can also play attacking midfielder, though his natural position is as a central midfielder. He began his career at hometown club Standard Liège, making 183 appearances and scoring 42 goals while winning five domestic trophies. He was awarded the Belgian Golden Shoe in 2008. After a season in Portugal with S.L. Benfica, he signed for Zenit Saint Petersburg for a €40 million fee in 2012. 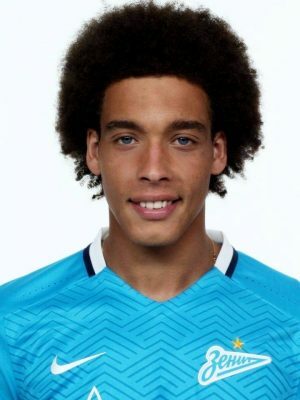 Witsel won four honours during his time in Russia, before leaving for Tianjin Quanjian in January 2017. He made his senior international debut in 2008 and has earned over 90 caps for Belgium, representing the country at the 2014 FIFA World Cup, 2018 FIFA World Cup and UEFA Euro 2016. How tall and how much weigh Axel Witsel?